SaraCares Carpet & Upholstery Cleaning, Area Rug, Mattress & Office Cleaning, Pet Accident Removal Services BC. SaraCares Carpet & Upholstery Cleaning Company Vancouver, New Westminster, Surrey, GVA & FVRD. 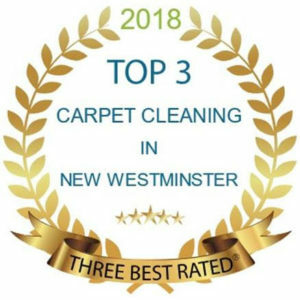 SaraCares is an award winning and trusted carpet cleaning company in BC. We have an office in Vancouver, New Westminster and one in Surrey. This ensures that we can cover a large service area for your convenience. Give us a call at 604-722-0459 to arrange for an estimate or to schedule an appointment. Our highly-trained Specialists are ready to take care of all of your cleaning needs. Check out our services below. Our Carpet Cleaning Services will get stubborn stains out, remove allergens and improve the air quality in your home or office. Carpet repair services also available. Our Area Rug Cleaning Services are safe for all types of delicate fibers, including Persian, Wool, and Oriental rugs. Carpet allergen and stain removal is a breeze with our industrial strength extraction methods and machines. Our professional Upholstery Cleaning Services will bring back the richness and luster of your favourite furniture like your couch, chairs, ottomans, recliners and cushions. Our Mattress Cleaning Services are for all types of mattress materials and fibers. We will ensure that the place you spend 1/3 of your life is fresh, clean and ready to be enjoyed again. Our Office Cleaning Services are very comprehensive. We clean furniture, upholstery, carpets and area rugs. We make sure all of your high traffic areas look revived and we rid them of stains and allergens. Our Pet Accident Cleaning Services will remove pet waste and odors from your carpets and furniture. happy customers. We can be reached by phone at 604-722-0459 or by email. You can also contact us for more info about us and our services.